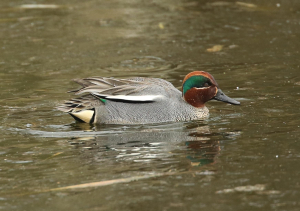 Observation - Pair of Teal on the Ice - UK and Ireland. Description: The ice wasn't very thick - the male bird fell through it quite quickly. The ice wasn't very thick - the male bird fell through it quite quickly.